← What is Treachery of the Eyes? 48. And it is He who sends the winds as good tidings before His mercy, and We send down from the sky pure water. 49. That We may bring to life thereby a dead land and give it as drink to those We created of numerous livestock and men. 1. 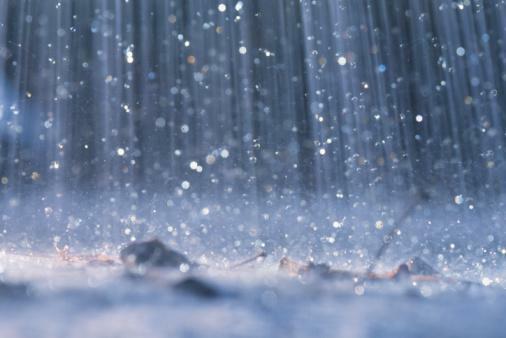 Rain is recycled water that evaporated from our world’s lakes, rivers, oceans, seas etc. 2. Rain drops range in size from 0.02 inches to about .031 inches. 3. Raindrops vary in size from 0.02 inch to about .031 inch diameter. 4. 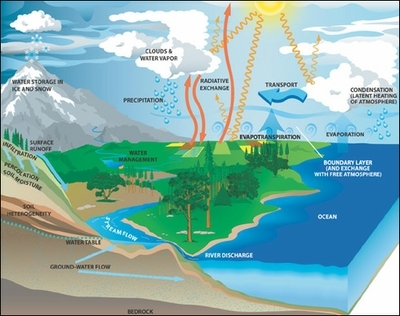 It is estimated that in one second, 16 million tones of water evaporates from the earth. 5. The total amount of precipitation to fall to the earth in one year is 5,000 million million tones. 43. Do you not see that Allah drives clouds? Then He brings them together, then He makes them into a mass, and you see the rain emerge from within it. And He sends down from the sky, mountains [of clouds] within which is hail, and He strikes with it whom He wills and averts it from whom He wills. The flash of its lightening almost takes away the eyesight. Convectional rainfall occurs when the energy of the sun (or insulation) heats the earth’s surface and causes water to evaporate changing to water vapor. This warm, moist air then rises and as it rises it cools. The air reaches a point called the condensation level where it has cooled to such an extent that the water vapor condenses and turns back to a liquid form. This process of condensation high in the atmosphere leads to the development of clouds. 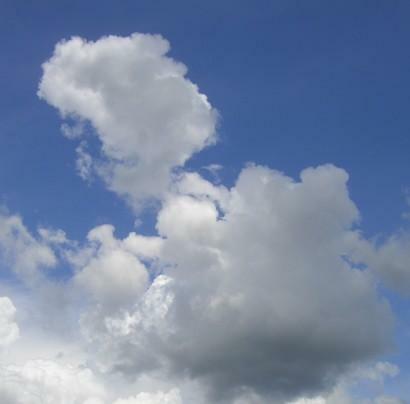 The typical cloud formed this way is called a cumulus cloud, or a cumulonimbus cloud. The rain forming process starts, and usually leads to very heavy rain, perhaps with thunder and lightning. As mentioned in the verses quoted above, one of the greatest blessings of rain is that lush green gardens grow and through rain Allah (سبحانه وتعالى) causes harvest to grow. Without rain there would be no harvest and without that people would be living in dire conditions, famines would be prevalent. The image on the left shows the condition of a family living in an area suffering from famine as a result of no rain. Rain is a great blessing which we take for granted. Without rain, we wouldnot have our beautiful gardens, cattle and goats would be deprived of vegetation to eat on. Hence we would have neither meat to eat nor any vegetation. We can see the mercy of Allah (سبحانه وتعالى) in the fact that He created rain for our benefit. Rain provides fresh water that makes the rivers flow, fills lakes and keeps plants alive and hence it is very significant. 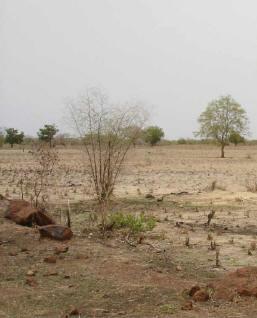 Lack of rain may bring a very serious effect on earth influencing plant and animal life. It also brings drought whereas much rain causes landslides and floods. Rain refreshes the land. Man through his limited sources can only irrigate a specific land in a specific amount of time. Allah (سبحانه وتعالى) through His power and might provides rain across vast lands, causing water to reach such areas which is not within man’s grasp. Also, this way Allah (سبحانه وتعالى ) provides rizq to various of His creations. Through rain we can see the power and might of Allah ( سبحانه وتعالى). No power in the world can get together to bring such benefit to mankind and livestock. This should only lead us to recognize that Raab is indeed One. This entry was posted in Signs in the Universe and tagged benefits of rain, blessing, clouds, drought, famine, miracle, rain, rainfall, signs, Surah Al-Furqan, Surah An-Nur, universe. Bookmark the permalink. This article was very nice since it talks about the rain and how it was created by Allah. We should remember that Allah has blessed us with so many blessings and we should be grateful to him at all times and when it rains we should pray to Allah that this rain doesn’t harm anyone or any place. Rain is a big blessing alhamdulillah from Allah swt and we should be grateful for it.However,recently my husband was visiting Badin and roads were flooded because of rain.People were being rescued in boats and a lot of them lost their homes,their belongings and their cattle.I was thinking how every blessing is a test as well.So when it rains we must read he dua “Allahumma Sayyiban Nafi’an”-Oh Allah pour on us beneficial rain. SubhanAllah! The water cycle is a great sign of Allah SWT’s mercy upon us all… how beautifully this entire system works all the time in obedience of Allah SWT for our betterment without us even noticing it or being grateful for it! Allah SWT alone is the Creator, Owner and Maintainer of all that exists on the Earth and in the Heavens and they both obey Him willingly! SubhanAllah today I was listening to the Tafsir of Surah Baqrah:163-164 and how rain is a sign of Allah swts oneness.We really should be grateful that it is n’t like boiling water or full of stones or frogs or blood.